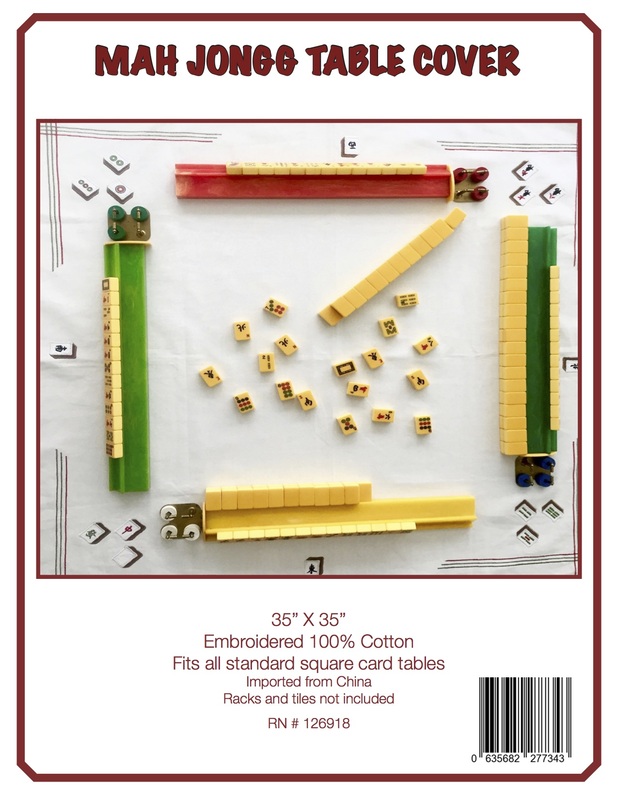 I hope you all are up and opening lots of great gifts…perhaps even a beautiful Mah Jongg set? Or maybe Santa brought you some good luck for picking Jokers? Well, here is the best gift of all…our dear friend Joy has sent another one of her truly wonderful poems and was generous enough to allow me to share it with you. So…here it is – enjoy! would soon appear in there! 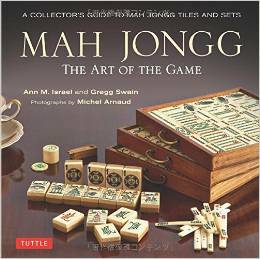 would ‘Mah Jongg‘ be spoken? will we play on this night? for a whole lot of fun! Did it already pass by? hope I don’t get tricked. or, will I soon be ‘dead‘? on those tiles – what a sight! Will this be the night? Can this really be real? My head now is spinning! What a sight to behold! I’m so glad I was taught. and a Happy New Year’s Day! This entry was posted in Mah Jongg and Me and tagged Christmas, Jokers, mah jongg, mahjong on December 25, 2018 by Mah Jongg and Me. WHEN ARE JOKERS VIABLE IN A DEAD HAND? I know this question comes up frequently and is one of those issues that causes much discussion. Well, leave it to the Grand Master of American-style Mah Jongg, the wonderful Gladys Grad, to provide us with a definitive answer! The hand in question is: 22 44 666 888 DDDD. A. No, that Joker was NOT viable. If it had been a Joker in the previously exposed Red Dragons, then it could be exchanged. But the 6 Bam exposure made with Jokers was still part of the current turn that resulted in it being declared a dead hand. I hope this will help those of you who are still not sure when a Joker is still viable in a dead hand. Send me some of your situations with dead hands and Jokers and I will post them on a future blog. This entry was posted in Mah Jongg and Me and tagged Gladys Grad, Grand Master of American-Style Mah Jongg, Jokers, mah jongg, mahjong on September 8, 2018 by Mah Jongg and Me. ANOTHER MAH JONGG MYSTERY SOLVED! 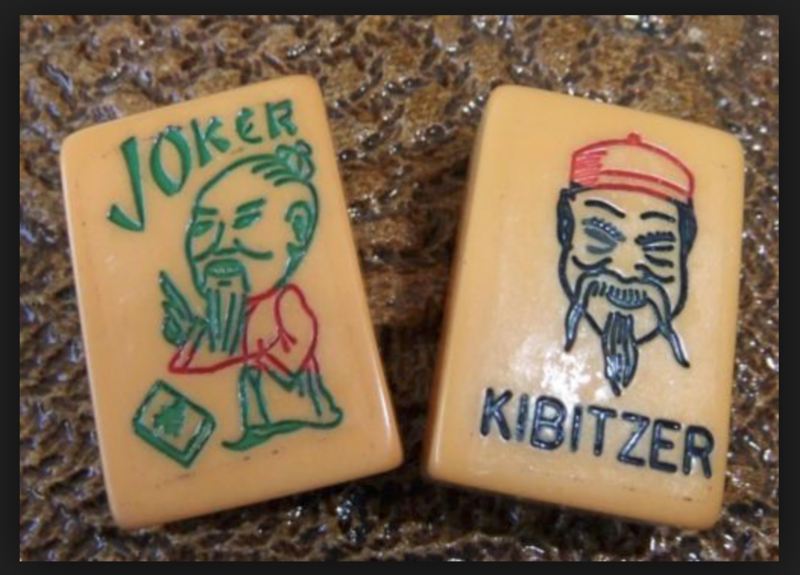 A few days ago I published a posting about the history of Jokers found in our Mah Jongg sets. I noted that I did not know who had originally written the article but asked the readers of this blog to let me know if they had any idea. Well, two of the mavens of the game, Tony and Annelise, both contacted me and told me that the article had come from none other than our dear friend, Tom Sloper. You can see the original article From Tom’s Sloper on Mah-Jongg, written on February 26th, 2012, column #509. Yet another mystery solved thanks to two really wonderful friends in our fabulous Mah Jongg community. This entry was posted in Mah Jongg and Me and tagged Annelise Heinz, Jokers, mah jongg, mahjong, Tom Sloper on May 31, 2018 by Mah Jongg and Me. 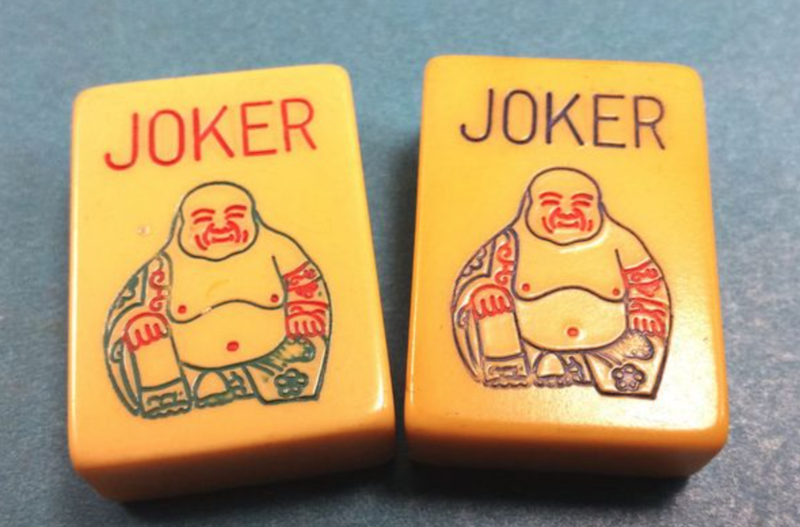 WHEN DID JOKERS START TO APPEAR IN OUR MAH JONGG SETS? I was just looking through my files and found this very interesting (at least it is to me!) article about the history of Jokers in Mah Jongg. People are always asking if I can tell how old their set might be. When asked this question the first thing I want to know is if your set has “natural Jokers.” Of course, that is not the only determiner of the age of a set – and, as you will read in this article, it is not always accurate – but it is a good place to start. Unfortunately, I have no idea who wrote the following article or where it was published. If anyone knows, please email me so that I can give it the appropriate credit. In the meantime, enjoy this article on the history of Jokers. “Before 1961, there were no Jokers. Flowers were wild, and the number of Flowers fluctuated between 8 and 24. 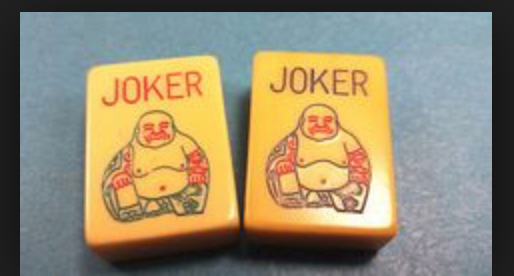 Joker tiles were introduced into the American game in 1961. The number of Flowers and Jokers fluctuated for several years, finally stabilizing at 8F/8J ten years later, in the 1971-72 card. The NMJL varied the number of Flowers and Jokers for several decades early in the league’s history. People had to cobble together sets to make the number of Flowers required. In the 1920’s, the standard Mah Jongg set came with 8 Flowers and 0 Jokers (8F/0J). From the founding of the National Mah Jongg League in 1937, the NMJL treated Flowers as Jokers (wild Flowers). Beginning with the 1943 card, more Flowers were added to increase the luck ratio and to allow for more challenging hands. Some, but certainly not all, American Mah Jongg sets came with Jokers before the NMJL first started requiring them in 1960-61. The number of Flowers and Jokers in a set isn’t necessarily a reliable indicator of the exact date of manufacture of an American set, but an understanding of the NMJL’s fluctuating use of Flowers and Jokers does give some clues. This entry was posted in Mah Jongg and Me and tagged American Mah Jongg, Flowers, Jokers, mah jongg, mahjong, nmjl on May 28, 2018 by Mah Jongg and Me. WISHING ALL OF YOU A HAPPY, HEALTHY AND WONDERFUL NEW YEAR, FILLED WITH LOTS AND LOTS OF JOKERS! And now, believe it or not, it is time to order your 2018 National Mah Jongg League cards, which will be mailed out to you in late March/early April. Just go to the League’s website here and follow the instructions. The earlier you order, the sooner you will receive your new NMJL cards! This entry was posted in Mah Jongg and Me and tagged Jokers, mah jongg, mahjong, National Mah Jongg League on January 2, 2018 by Mah Jongg and Me.